Singing stars and one of the UK’s biggest comedians have pledged their support to save a threatened animal sanctuary. Easterleigh faces a bleak future and will soon have to leave its site in St Annes following a row over the tenancy. Despite a huge fund-raising drive to generate cash to buy a new HQ, the centre is still £80,000 short of its target – and faces a final court hearing next month to decide its future on the land on which it currently stands. Around 50 animals, including cats, dogs and horses, face having no home while 16 staff look set to lose their jobs if the centre closes. 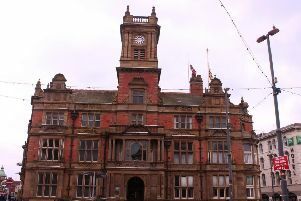 Now Blackpool-based singing stars the Nolan sisters and comedian Roy Chubby Brown have lent their voices to the fight to save the centre. Denise Nolan said: “We are sure that Easterleigh’s plight will resonate with many people and they will be sympathetic to it but they really do need a miracle here. “It is very easy for us to forget in our ever increasingly busy lives but we are really asking the local community to step up and try and help to save Easterleigh; an impressive, inspiring and something to proud of here on the Fylde coast. Roy said: “Easterleigh’s efforts over the last 20-plus years have been unrivalled in the area – there is simply no other sanctuary locally who can take in all these unwanted, abandoned and neglected animals. “Due to the unfortunate circumstances that the sanctuary now faces, they are turning away dozens of animals each day. “I sincerely hope that they can find new premises to avoid the very sad day that is fast approaching should they be forced to close. The founder of the charity, Mandy Leigh, said she has been forced to put her home up for sale in a bid to generate cash to buy a new sanctuary – but estimates she is still tens of thousands short of the amount she needs. Mrs Leigh said she has been astonished by the response to the sanctuary’s plight – but revealed it now faces a “gloomy” future. She added: “I do not know how long we have. It’s very difficult. We want to stay in this area. There is nowhere else. It is looking gloomy. It is understood the land where Easterleigh is based, off Queensway, was bought for a five-figure sum at Christmas. Mrs Leigh added: “I have been really delighted by the support from the Nolans and Chubby Brown. “We did not contact them, but they found out about our plight through social media and our supporters all over the country. “We are due in court on June 3 and I think we will be lucky to have more than a few weeks left. “We are not taking any more animals at present but I will have to find homes for nine horses, 19 dogs, nine cats, four rabbits and three pigs. • If you would like to donate to Easterleigh go to www.justgiving.com/easterleighanimalsanctuary or call (01253) 595333.